Looking for quality work to be done at your home, business or vehicle? Call Cincinnati Locksmithing and Garage Repair in Cincinnati, Ohio. Our certified locksmithing technicians will respond to your location to fix the problem. Whether you are locked out of you vehicle, locked out of your business, locked out of your home or need a new key made, JJ’s Premier Services LLC will send our most experienced technicians to solve the problem in a hurry. We work well under pressure and will aim to respond within 30 minutes to your location. Customers have been ecstatic about us since we began serving the Cincinnati area for locksmithing needs. When you search for locksmith near me, many companies will appear. Some of the larger companies may even have spent big money to promote their business. It costs a lot of money for this artificial promotion! That costs translates into bigger costs for you as a locksmith customer! We have provided our own information and website to reach out to the Cincinnati community. Our community locksmith technicians truly care about our customers, and that is why we work hard to outreach to our customers and keep costs down. So, if you are in search of a low cost locksmith for business locksmithing, automotive or car locksmithing, or residential locksmithing services, then give JJ’s Premier Services AKA Cincinnati Locksmithing and Garage Repair a call. 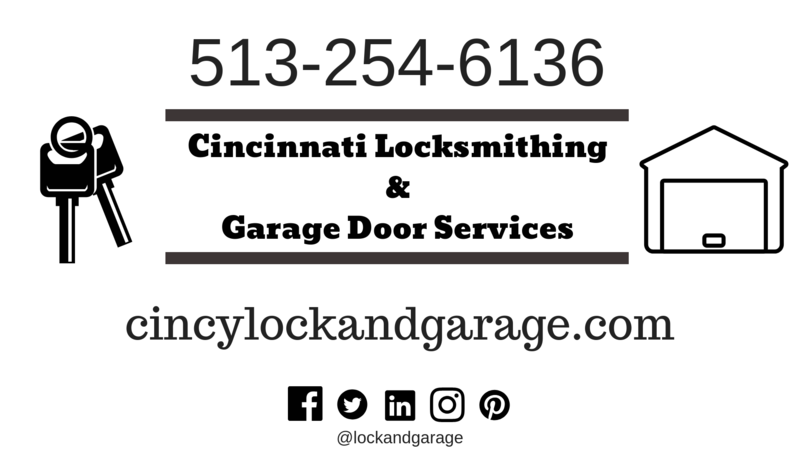 For more information about this Cincinnati locksmith, check out @lockandgarage on Instagram!